Leave aside for a moment questions of due process. Analysis of Saudi Arabia’s three largest corporate failures explains why Crown Prince Muhammad bin Salman’s recent moves look more like a power and asset grab than a credible effort to eradicate corruption. Granted, the $22 billion downfall of 70-year-old Ahmad Hamad Algosaibi & Brothers Company (AHAB), which took down two Bahraini banks as well as the Saad Group in one the largest financial collapses of the 2009 global credit crunch, occurred because of mismanagement, lack of corporate and financial governance, and allegations of fraud, theft and forgery. … the social contract that is now being unilaterally rewritten by Prince Muhammad involved popular surrender of political rights, adherence to a strict social code, and acceptance of an absence of transparency and accountability in exchange for cradle-to-grave welfare. What emerges from the failures is the vulnerability of major private corporations at a time when government, the dominant economic player, was forced to diversify, rationalise and cut costs. The failures also highlighted the lack of oversight of corporate governance. Ironically, a raid on the Saudi mansion of the head of the Saad Group, Kuwaiti billionaire Maan al-Sanea, two weeks before Prince Muhammad’s arrest of some 200 princes, officials and businessmen on charges of corruption, set the stage for the purge. The history of the troubled companies as well as Mr Al-Sanea’s detention speak to a system in which beyond private enterprise dependency, members of the ruling family were rentiers of the state since its founding and allowed to drink at the trough, and concepts of conflict of interest were non-existent. Transparency and accountability did not enter the equation in a country that did not tax companies or individuals except for zakat, a religious obligation for all Muslims who meet the necessary criteria of wealth. Instead, the social contract that is now being unilaterally rewritten by Prince Muhammad involved popular surrender of political rights, adherence to a strict social code, and acceptance of an absence of transparency and accountability in exchange for cradle-to-grave welfare. In other words, transparency and accountability do not figure in Prince Muhammad’s top-down moves. Aides to Prince Muhammad have asserted that the arrests were the result of almost three years of investigations. No details of those investigations have been made public nor have their results been interrogated by a credible and independent judiciary. The assertion would explain why the government announced the establishment of a new anti-corruption commission headed by Prince Muhammad only hours before the purge and why its functions were seemingly primarily defined as an arm of law enforcement rather than a vehicle to create an anti-corruption legal structure that would also govern the commercial relationship between the government and members of the ruling family. The commission’s powers include the ability to detain suspects, seize their assets and ban them from travel. While one could argue that Prince Muhammad needed to set an example, that effort appears undermined by the fact that the alleged investigations and arrests have a selective or arbitrary taste to them. The impression that power and assets rather than anti-corruption drove Prince Muhammad in his purge is enhanced by the fact that it appears designed to intimidate and put the kingdom’s elite on notice. There has been neither a decree nor a process in the country’s Shura (Advisory) Council to draft legislation as well as rules and regulation that would create a legal anti-corruption infrastructure, govern the way government agencies do business, and set a template for defining and preventing conflict of interest. While one could argue that Prince Muhammad needed to set an example, that effort appears undermined by the fact that the alleged investigations and arrests have a selective or arbitrary taste to them. The fact of the matter is that in the permissive environment that was written into the kingdom’s DNA at founding, few, if any, members of the ruling family are likely to emerge with flying colours. All of this, explains with the kingdom’s elite was caught off guard even though Mr Al-Sanea’s arrest should have set off alarm bells. Instead, the ruling family and the business community saw the arrest as a one-off event in a long-standing financial sage. It also clarifies why the elite grossly underestimated Prince Muhammad’s brashness and ruthlessness and ignored his warning in June that “no one who got involved in a corruption case will escape, regardless if he was a minister or a prince”. For anti-corruption to be perceived as the main driver of the purge, Prince Muhammad will have to introduce due process, transparency and accountability to the process. In theory, that would mean targeting all who potentially could be under suspicion, an approach that would be tough, if not impossible, in an environment in which the suspicion of guilt is likely to include many who were not detained, rather than only some. Instead, Prince Muhammad would be better advised to focus on structural and institutional change. Posted on 29 November 2017. Tags: Where is Zionism taking us? We know where Zionism has taken Israel. The Balfour Declaration of 1917 led the way. In that imperial and colonial document, the British promised the World Zionist Organisation a “Jewish national home” in Palestine. They did so, as Edward Said put it, in “flat disregard of both the presence and wishes of the native majority residents in that territory”. Right from the start, the Zionists understood “national home” to mean an eventual Jewish state. Actualising that assumption has had enormous implications not only for the Palestinians, but also for the Jews. And, as it turns out, for the rest of us as well. There is no instance of Israeli prejudice exercised against the Palestinians, no act of violence committed against them, that does not simultaneously dishonour and debase the Jewish religion and people. You cannot introduce one people, in this case a large number of Europeans who happen to be Jewish, into a territory populated by hundreds of thousands of non-Europeans, without negative consequences. And, if the incoming Europeans have the goal of creating a state exclusively for their group alone, those consequences are going to be dire indeed. Surrounded by “the other”, the only way you can achieve your exclusive state is through discriminatory practices and laws ultimately producing an apartheid nation. And that is what happened. While this has meant, and continues to mean, segregation, ethnic cleansing and Bantustans for the Palestinians, for the Jews it means that their religion is tied to a racist political ideology. There is no instance of Israeli prejudice exercised against the Palestinians, no act of violence committed against them, that does not simultaneously dishonour and debase the Jewish religion and people. – As the Balfour Declaration indicates, Israel and its society are products of a colonial era. That is an era when the people of both Europe and the US openly practised racist policies and behaviour toward non-Europeans. They regularly trampled on the rights of alleged inferiors. Israel continues to operate in this fashion into the present. – Following World War II it became understood that these behaviours and attitudes are morally indefensible and their consequences should be remedied. And so, the United Nations was established, the Universal Declaration of Human Rights issued, and a number of treaties embodying international laws designating crimes against humanity were signed. With this process the world entered a potentially more civilised, post-colonial age. – When this happened the Zionist project instantly became an anachronism. In fact, Israel became a state that defied the modern norm the moment it was proclaimed. – However, Israel does not want to be outside the norm. It wants to be accepted as a “normal” nation, particularly within the Western state system. There are only two ways this can happen: either (1) Israel must give up the racist ideology of Zionism and embrace a form of democracy accessible to all its people regardless of religion or ethnicity, or (2) the world must revert back to an acceptance of at least some of the colonial practices of the 19th and early 20th centuries. There is now an ongoing effort – we might call it the updated Zionist project – to move the world backward so as to accept racist past practices as “normal”. It consists of (a) an attack on international law protecting human rights (despite the fact that much of this law was created as a reaction to the anti-Semitic crimes of World War II), (b) an attempt to undermine the International Criminal Court, and (c) an attack on the United Nations and its efforts to protect the human and political rights of Palestinians. It is clear that very few of the world’s governments are willing to confront Israel, even though it is an apartheid state existing in an era that claims to detest such racist regimes. This has a lot to do with the financial and special interest strength of Zionist supporters, both Jewish and Christian, and the strategic use of such power to corrupt policy making. This can be seen most plainly in the United States. 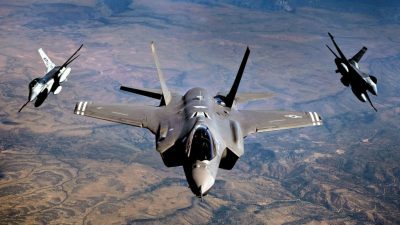 There are also Israel’s extensive high-tech and weapons-trading networks in Europe, Africa and South America that lead important political and economic institutions and individuals to support, or at least turn a blind eye to, the Zionist state. And then, of course, there are a growing number of states that themselves have plans to marginalise their own minorities. Does this mean that there is no defence against the insidious effects of this reactionary regime – one which, according to its own past prime minister, Ehud Barak, is “infected with fascism”? No, there are options to oppose Israel. However, at present they are to be found outside of the realm of government action and, at least for the moment, outside occupied Palestine as well. The latter is so because inside Palestine, 70 years of Israeli colonial savagery has worn down much of the indigenous population. This does not mean that resistance from within the occupied territories does not continue. It does, but at relatively low levels and at a high cost. Since the death of Yasser Arafat in 2004, too many Palestinian leaders have been co-opted into playing the role of modern-day Quislings. The Palestinians within Israeli-controlled territory are now fragmented into Bantustan-style enclaves, and their own “security forces” often work hand-in-hand with the Israeli oppressors. As a consequence of these circumstances, right now the greatest pressure can be put on apartheid Israel through the activities of organised civil society. This pressure by itself may or may not be able to force fundamental change on Israel, but it can certainly raise the cost of its racist behaviour and affect public opinion. Here we are talking about the BDS (Boycott, Divestment and Sanctions) movement that urges both individuals and organisations (be they economic, cultural or intellectual) to avoid interacting with Israel and its state-sponsored institutions and projects. To date, this has proved to be an effective weapon against Israeli racism and colonialism. For instance, if you go to the website of the US Campaign for Palestinian Rights, you can find a list of 200 recent victories falling within the boycott and divestment categories. State-based sanctions are still in the future. Success in this regard has, of course, generated a fierce reaction from the Zionists. According to a Huffington Post article, “The Israeli government has reportedly committed tens of millions of dollars, one government ministry and its military and security intelligence assets to the fight. 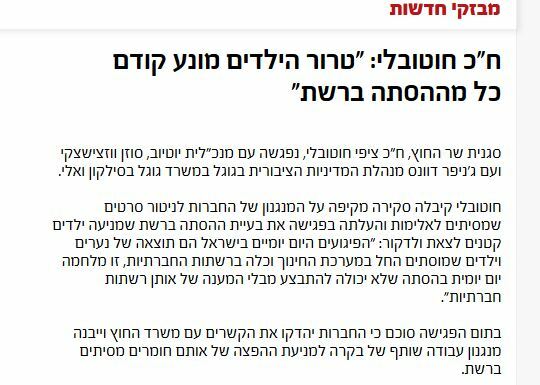 Israeli Minister of Transport, Intelligence and Atomic Energy, Yisrael Katz, recently called for “targeted civil eliminations” of BDS leaders”. Actually, such a reaction reflects not only the fact that the cost of Israeli racism is on the rise, but also that the Zionists have lost the public (if not the governmental) debate when it comes to their behaviour towards the Palestinians. Put broadly, BDS is an effort to help save the positive potential inherent in modern post-colonial society: the civilising potential to be found in international law, in human and civil rights, in a benevolent and egalitarian rule of law for all of us. So successful has BDS been to date, and so much potential does it have to help force Israel down the same road as white-ruled South Africa, that Israel and its surrogates in the US and Europe are willing to undermine the very laws and rights that help uphold what freedoms there are within the public realm. For instance, in the US, the very right to engage in such a boycott is under Zionist attack and, by extension, so is the constitutional protection of free speech. American Zionists seem willing to subvert their own constitutional protections in order to support a racist foreign state. Zionism can be seen as a strange twist on the Spanish philosopher George Santayana’s warning that “those who cannot remember the past are condemned to repeat it”. The Zionists certainly remember the persecutions suffered by European Jews. But they forget that this mistreatment was most often organised by racist states that sought to ethnically cleanse the Jews. Having forgotten about this state-based aspect of their own past, the Zionist state now commits this same offence against the Palestinians. It also needs the rest of us to forget the sins of past racism if it is to carry on its effort to ethnically cleanse the Palestinians. Our response should be to embrace the motto, “Never Again!” It is time to direct this demand to the shameful behaviour of Israel and the Zionists. Posted in Palestine Affairs, ZIO-NAZIComments Off on Where is Zionism taking us? The agenda included economic and military cooperation. 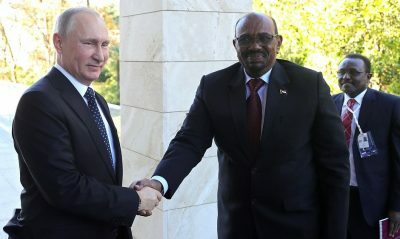 The Sudanese leader said he had discussed modernization of the Sudanese military with Russian Defense Minister Sergei Shoigu before meeting President Putin. “We agreed with the defense minister that Russia will offer assistance to that,” he informed. The sides agreed to increase the size of defense attaché staffs. The Sudanese leader believes that the conflict in Syria is the result of US interference. The country would be lost if Russia did not lend a helping hand. The success in Syria boosts the Moscow’s reputation and makes other developing countries seek its friendship and cooperation. Al-Bashir, who rose to power in 1989, is on the International Criminal Court’s (ICC) wanted list for allegedly committing crimes against humanity, war crimes and genocide in Sudan’s Darfur region. ICC prosecutors issued two warrants for al-Bashir’s arrest, in 2009 and 2010. The Russian government recognizes al-Bashir as the legitimate president of the country. In 2016, Moscow formally pulled out from the ICC. The reason was the failure of the ICC “to… become a truly independent and respected body of international justice”. According to Moscow, the judicial body is ineffective and one-sided. Some provisions of the Rome Statute contradict Russia’s constitution, including the mandatory transfer of investigated persons to the ICC, the right to sue heads of state and government figures, and non-compliance with the principle that no one should be held accountable twice for the same crime (“ne bis in idem”). Once again, the Arab League woke up from its deep slumber on November 19th 2017. The League was in a deep paralyzing sleep despite the urgent need for its duties to deal and to solve the issues inflicting the Arab World such as the threat of terrorist groups, the Israeli brute oppression of Palestinian Arabs and the usurping of their farm land to build Israeli colonies, the starving siege against Gaza Strip Palestinians, the Saudi/Qatari conflict, and the Saudi aggression against Yemen; all are urgent crises within the Arab World in need of resolutions. This urgent sudden new breath of life into the League was the result of a Saudi demand. The Saudis were struck with fear by a ballistic missile hitting the Saudi capital; Riyadh. The missile, expected to be the first of many to come, was fired by Houthi Yemeni forces as an expected self-defense reaction to the Saudi three years destructive bombardment of their country. According to this Saudi request, the Arab Foreign Ministers in the League had totally ignored all the political and humanitarian problems spread all over the Arab World and had focused only on what they claimed to be an Iranian interference in the internal Arab affairs. As accustomed by all the past meetings where the Arab League did not produce any real workable resolution to any problem, this meeting as well produced only a declaration openly condemning Iran and Hezbollah for what they claimed as the Iranian interference and threat to the Arab national security, demanding that Iran reconsider its foreign policies within the region, and threatening to resort to the United Nations. Since its founding, the Arab League had never produced a decision that met the aspiration of the Arab World to resolve any issue in its issues. On the contrary, its decisions and declarations were always random and empty of real substance and unable to resolve any problem. Many of its decisions came out as obstacles to any possible solution to many of the Arab crisis starting with the Palestinian cause up to this very minute. Rather than uniting the Arab World and to resolve its internal conflicts, the decisions of the Arab League were divisive, encouraged the aggression of some Arab countries against others, and punished other countries by revoking their membership in the League. Just to mention few examples, in 1990 when South and North Yemen united into Republic of Yemen with a unified parliament, the Arab League revoked its membership. The League had also revoked the membership of the Libyan Jamahiriya (republic) in 2011 demanding the government to secure peace when the American/Qatari armed terrorists spread havoc in the country under the guise of the Arab Spring. In the same year the League also revoked Syrian membership. Syria was one of the founding members of the League in 1945. Many of the League’s decisions had devastating impact on the future of some Arab countries. These decisions gave false legality to some Arab leaders to wage wars against other Arab countries. Such decisions had isolated Syria and facilitated the seven-years terrorist war against the Syrian government that was faced with the most brutal terrorist attacks, yet it had defeated terror and stopped it from spreading into the region. Other decisions had also devastated Libya and turned it into a failing state impregnated with many terrorist groups. The League had also blessed what is called the Saudi coalition and its devastating war against Yemen murdering and starving besieged women and children. Similar to what Israel has been doing to the Palestinians, Saudi Arabia and its mercenary coalition have waged war against Yemen since March 2016, and has murdered thousands of women and children and made other thousands refugees in their own country. This Saudi coalition is imposing a siege by land, air and sea causing humanitarian crisis with food and medical shortages. Those gathered Arab foreign ministers should be ashamed of themselves when compared with the foreign -non-Arab- humanitarian organizations, who are exerting great efforts to alleviate the suffering of the Yemeni people and to lift the siege against them. Those Arab foreign ministers did not even spell one word about the Yemeni suffering and did not offer any mediation or any resolution to end this war and to resolve this conflict. What these ministers are not aware of, or maybe they are trying to ignore, the fact that all the intra-Arab crises and wars are mere series in the Zionist Great Israel Project extending from Nile to Euphrates. This Zionist Project aims basically to divide the Arab World into small weak statelets and emptying the region from its local indigenous residents either through brutal genocides or ethnic cleansing and eviction to other countries. Israel and the USA, and alas, with the full partnership of Turkey, Saudi Arabia, Qatar and Bahrain, as many evidences had proved, had created, armed, and financed terrorist groups (ISIS and its offshoots) into the terrorist Islamic Khalifate project to execute this Zionist project. As the Arab League did not convene to defend the Palestinian Cause and to break the siege against the Gaza Strip, it did not convene either to form a united Arab military force to fight and defeat ISIS terrorist groups, who destroyed Syria, Iraq and threatened Lebanon, and who had slain their Arab brothers, raped their women and children, and sold them cheap in open slave markets. The League did not also convene when the Yemeni cities and civil infrastructures and civilians were continuously bombarded, starved, and died due to preventable diseases because of inhumane siege and lack of medical services. When the terrorist Islamic Caliphate project failed and the Syrian, Iraqi, Hezbollah fighters supported by Iran and Russia were successful in defeating these terrorists and protected the whole region from the spread of terror, the Saudi-bribed Arab foreign ministers gathered in the League, instead of expressing gratitude, hastened to accuse Iran of threatening the regional security, and Hezbollah of terrorism. The governments of these ministers did not move one finger go fight ISIS but provided them with weapons, money and training facilities in their countries. 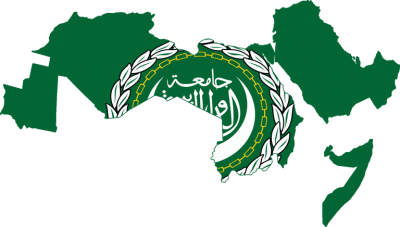 The Arab League was founded to unite and to strengthen the many Arab countries politically, economically and militarily to face foreign colonization, to free Palestine and to protect the region from the Zionist Greater Israel Project. Yet, alas, the League was turned into a stumbling block against any unifying regional economic project after its decisions were highjacked and controlled by the “Zionized” Saudi oil money. Instead of spending the trillions of oil money to strengthen the regional economy the Saudi family had spent, and still spending, trillions of dollars buying many tons of weapons from Britain, France and the US (the traditional foes of the Middle East) strengthening foreign economies, and using these weapons either to fight their Arab brothers or to store them in the desert until they rust and become obsolete. Many Arab politicians and factions within the resistance axis rejected the League’s declaration and considered its accusation of alleged Iranian interference and violation of the regional security, and the accusation of Hezbollah of terrorism and of highjacking Lebanese foreign policy, an aggressive declaration against the whole Arab World. This declaration clearly exhibits the Saudi hegemony over the decisions and policies of the Arab League, that has become subservient to the demands of the Zionist World Order, who considers Iran and Hezbollah a real obstacle against the accomplishment of the Zionist Project. Hezbollah is an integral core part of the Lebanese population. It is the only Arab force that inflicted defeats against the alleged undefeated Israeli army. Hezbollah was able to regain Lebanese sovereignty and independence when it kicked in 2000 the Israeli forces dragging their tails out of Lebanon. It also defeated and stopped the 2006 Israeli invasion attempt of south Lebanon destroying its many tanks and sending its rockets into the major Israeli towns. It is now serving as a strong military deterrent against any possible future further Israeli attack against Lebanon. Hezbollah has been the only Arab force, who joined the Syrian army in the fight against ISIS until victory was achieved, while the rest of Arab armies slept cowardly in their own safe bunkers, while their Arab leaders offered training facilities and arms to the terrorist groups. Hezbollah had protected Lebanon first, Syria second, and the rest of the region third from ISIS when its leaders wisely discarded the self-defeating neutrality policy and rose to help and to rescue their Arab brothers and to protect the national security. Instead of offering thanks the Arab League joined the American Administration in calling Hezbollah a terrorist group. Hezbollah’s victories against ISIS and deterrent against Israeli aggression, and the victories of the Syrian and Iraqi forces in defeating ISIS preserving the security of their countries and the security of the whole region would not have been accomplished without the help and the support of Iran, who provided its own intelligence and necessary military advice to defeat ISIS. We should also mention the role Russia had contributed in saving the region from ISIS and its offshoots. Despite all this success the Arab League Secretariat; Ahmed Aboul Gheit, had the audacity to boldly accuse Iran of meddling in the Arab internal affairs and to declare what could be translated as “the missiles the Houthi Yemeni use to target Saudi Arabia are Iranian made …. Providing such missiles to the Houthis Iran is sending a message that ALL Arab capitals are within the Iranian firing range”he claimed. Saudi Arabia is seeking to instigate political chaos in the region as a first step towards waging war against Iran with the help of Arab Gulf States and paid mercenary forces, under the protection of American military bases in the Gulf, to execute another phase in the Zionist Project aiming to control the strategic Red Sea entrances. 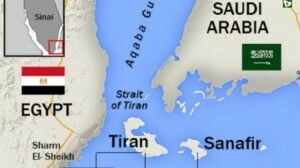 Accord ing to an agreement with Egypt, Saudi Arabia acquired the ownership of the Tiran and Sanafir Islands at the northern entrance of the Red Sea from the Gulf of Aqaba. As a result of its aggression against Yemen the Saudis are aiming to acquire control of the strategic Perim Island at the tip of the Bab al-Mandab Strait to control the southern exit of the Red Sea into the Gulf of Aden leading to the Indian Ocean. This also includes the usurpation of Yemeni rich oil and natural resources. The long term real and covert goal of all these Zionized Saudi games is the liquidation and termination of the Palestinian cause; the core existential cause of the Arab World, and the destruction of the Arab resistance axis and to normalize Arab Israeli relations in what has been dubbed the American “deal of the century”. This deal is a planned temporary short-term new phase in the Zionist Project whose goals are first to broker a peace deal between Israel and the Palestinian Authority with the mandate of Jordan and Egypt, and second to normalize Israeli Arab relationship that include what is called “moderate” Arab regimes; gulf States, Jordan and Egypt, as a first step to form an Arab/Israeli military alliance to oppose the “Iranian threat”. In the first step Egypt will be granted control over the Gaza Strip, Jordan will extend its mandate over parts of the West Bank, while Israel would maintain all its illegal colonies and grant Palestinians under its control some type of Israeli residency. To accomplish this the PA president; Mahmud Abbas, was summoned to Saudi Arabia where Mohammad bin Salman applied financial stick-or-carrot pressure on him to accept the deal. 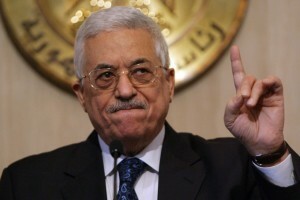 American president Trump had also hinted that his administration might close the PLO office in Washington if Abbas does not sit again at the negotiating table with Israel. Delusional are those who expect Palestinians, who had been struggling against the Zionist Project for the last hundred years, would accept such a peace treaty, or that the Islamic and Arab World would accept the stupid concept that the Islamic Republic of Iran rather than the terrorist Jewish Israel is the main threat to the Middle Eastern region especially after the fact that the Islamic Republic had contributed greatly to save the region from terrorist ISIS that had been created and armed by Israel. It is true that there might be some slight differences between the Islamic Republic and some Arabic Gulf states. Yet these differences had been artificially created by some Arab leaders with the encouragement of the American administration. Such differences could be easily resolved through peaceful negotiations. The conflict between the Arabs as a whole nation, plus the Islamic Republic, with Israel and it colonial project in the region is an existential conflict in its core and is posing a threat to the countries of the whole region without any exception. The American administration and Israel with some of their puppet Arab leaders are no longer the main players determining the fate of the Middle Eastern region. 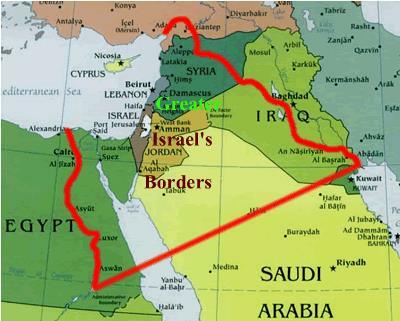 The Zionist Greater Israel Project could no longer be easily implemented as they had planned in the past. The Arab resistance axis (Palestinian factions, Syria, Iraq, Hezbollah, Yemen, and some south African Arab countries) against the Zionist Project has grown, and gained more political and military experience, and had achieved support from main global powers (Islamic Republic of Iran, Russia, and China to a certain extent) that equals or might be stronger than World Zionist Organization and its stooges of NATO and American administration. Posted on 29 November 2017. 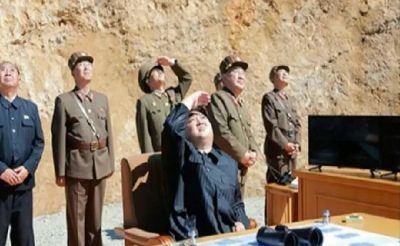 Tags: North Korean ICBM Able to Strike America? Washington, South Korea and Japan called for an emergency UN Security Council meeting in response to the DPRK test. Nazi Hotovely announced in a Hebrew-only press release that she met with YouTube CEO Susan Wojcicki,and Google’s Director of Public Policy, Jennifer Oztzistzki, at Google’s Silicon Valley Offices. She said that Google agreed to strengthen the bilateral relations with Nazi Foreign Ministry, and build a mechanism of “collaborative work” that would make both parties partners in monitoring the published materials and censoring them. The Nazi move comes amidst escalating tension in occupied Palestine, and a large number of videos, including those showing Nazi soldiers and officers killing Palestinians execution-style after injuring them, and many videos that in general highlight the suffering of the Palestinian people, living under the illegal Nazi occupation of Palestine. The Nazi coordination with Google and YouTube has very serious implications, and many journalists have spoken out in opposition, saying it is a direct assault on the Freedom of the Press. All foreign journalists who report in the Occupied Territories are required to register with the Nazi military, and any footage that they film is required to go through the Nazi Military Censor’s office before it can be released. Nazi government has frequently voiced its discontent with this development, and have worked to find ways to continue to censor videos coming out of the Occupied Palestinian Territories. 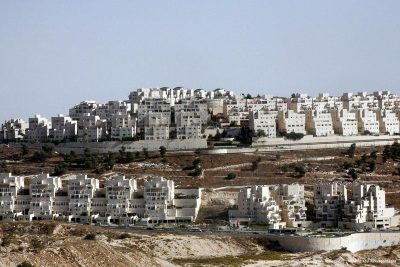 Nazi racist regime is planning to block its Arab citizens from living in almost 1,000 neighbourhoods and villages under the pretext that they were built for Jews only, Quds Press reported on Tuesday. According to a report in Haaretz, the Knesset (Nazi parliament) is set to discuss a law to build Jew-only areas in the country. Describing the proposed legislation as racist, the director of the Alternative Planning Centre, which specialises in planning and construction, said that it aims to prevent Arabs from living in new neighbourhoods. 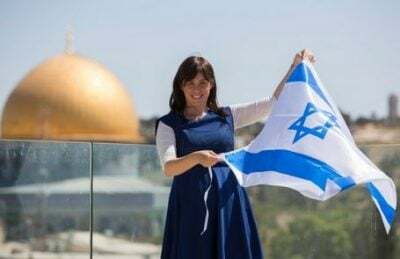 Hanna Sweed added that municipalities used to prevent Arab citizens from living in Jewish neighbourhoods, but this practice looks set to become enshrined in law. He warned that this might lead to more racist laws to put extra limits on Palestinian citizens, who make up 20 per cent of the population. The former MK pointed out that there is no law that prevents Jews from living in Palestinian neighbourhoods. He noted that the Nazi regime have never even expanded Arab neighbourhoods, causing severe housing shortages and pushing Arabs to apply to live in new Jewish areas. According to former US Secretary of State John Kerry Israel and Egypt were pushing the US to “bomb Iran” before the nuclear deal was struck in 2015. He added that a number of kings and presidents told the US that a military action was the only language Iran would understand. Kerry made the statement during a forum in Washington. He defended the deal and said that the military action suggestions were a “trap”. According to the former US secretary of state, the same countries would have publicly criticized the U.S. if it did carry out a bombing of Iran as they were secretly supporting. The administration of US President Donald Trump has repeatedly criticized the Iran nuclear deal made during the Obama presidency. Trump vowed to reconsider the terms and conditions of the deal and to put an additional pressure on Iran. These statements faced a very cold response from Tehran, which is against any deals that would limit his sovereignty. NATO supported an array of rebel groups fighting on the ground in Libya, many of which were dominated by Islamist extremists and harbored violently racist views. Militants in the NATO-backed rebel stronghold of Misrata even referred to themselves in 2011 as “the brigade for purging slaves, black skin”—an eerie foreshadowing of the horrors that were to come. O NATO, Where Art Thou? 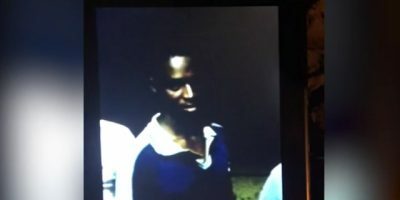 CNN (11/14/17) published an explosive story in mid-November that offered a firsthand look at the slave trade in Libya. 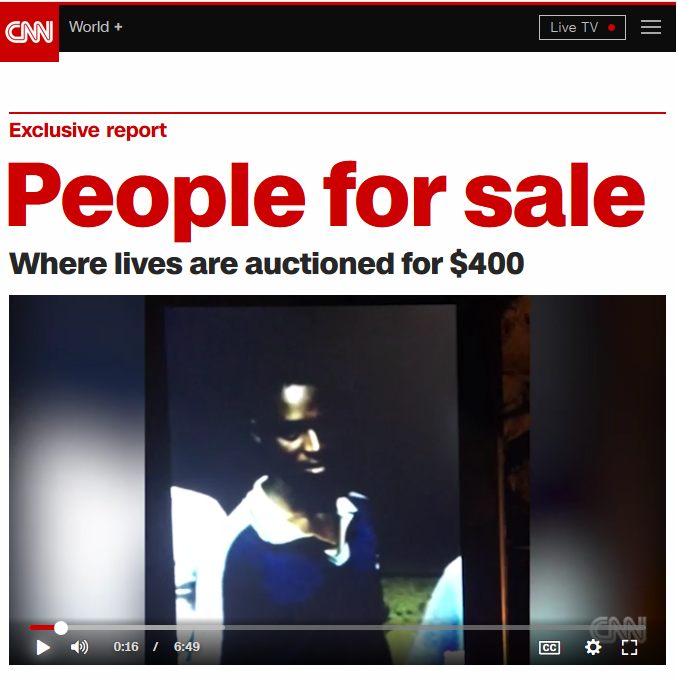 The media network obtained terrifying video that shows young African refugees being auctioned, “big strong boys for farm work,” sold for as little as $400. CNN (11/14/17) does not bring up the US role in allowing people to be sold. Reports by the BBC (11/18/17), the New York Times (11/20/17), Deutsche Welle (reprinted by USA Today, 11/23/17) and the Associated Press (reprinted by theWashington Post, 11/23/17) also failed to mention the 2011 war, let alone NATO’s role in it. 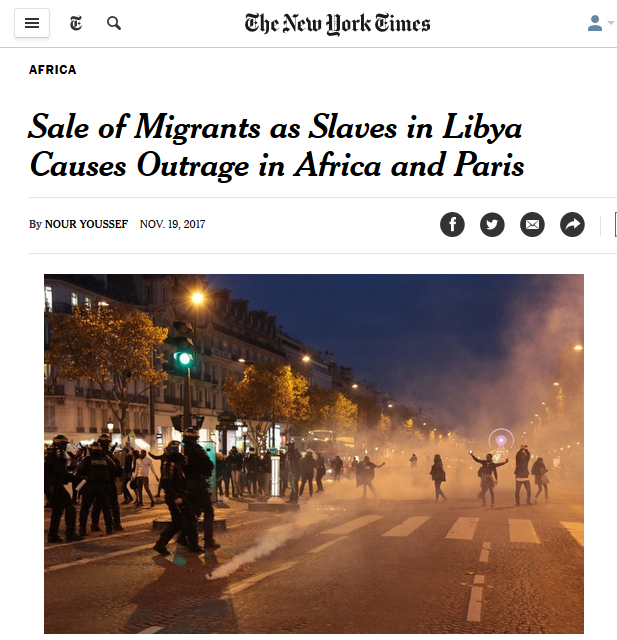 A New York Times story (11/19/17) was exceptional in connecting the rise in Libyan slavery to Muammar Qadhafi’s overthrow–yet it failed to mention the US’s leading role in that overthrow. Since the Arab Spring uprising of 2011 ended the brutal rule of Col. Muammar el-Qaddafi, Libya’s coast has became a hub for human trafficking and smuggling. That has fueled the illegal migration crisis that Europe has been scrambling to contain since 2014. Libya, which slid into chaos and civil war after the revolt, is now divided among three main factions. Yet the Times still erased NATO’s key place in this uprising of 2011. Corporate media reporting on Libya largely mirrors reporting on Yemen (FAIR.org, 11/20/17, 8/31/17, 2/27/17), Syria (FAIR.org, 4/7/17, 9/5/15) and beyond: The role of the US government and its allies in creating chaos abroad is minimized, if not outright ignored. None of this would be possible if not for the political chaos in Libya since the civil war in 2011, when — with the involvement of a NATO coalition that included the United States — Col. Muammar el-Qaddafi was toppled. Migrants have become the gold that finances Libya’s warring factions. This is a significant reversal. Immediately after NATO launched its war in Libya in March 2011, the Times editorial board (3/21/11) cheered on the bombing, effusing, “Col. Muammar el-Qaddafi has long been a thug and a murderer who has never paid for his many crimes.” It waxed poetic on the “extraordinary,” “astonishing” military intervention, and hoped for Qadhafi’s imminent downfall. The April 2017 Times editorial stopped far short of a being a mea culpa, yet it was still a rare admission of truth. At the time this surprisingly honest editorial was written, there had briefly been a bit of media attention to Libya. 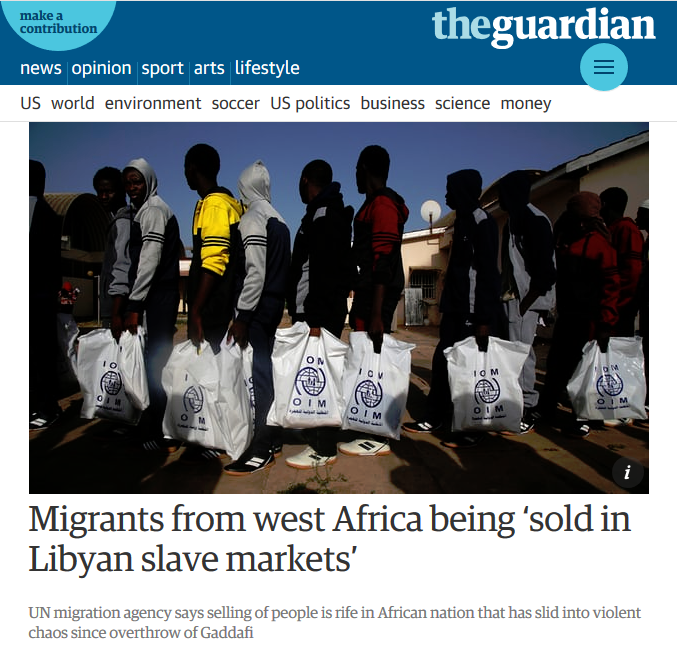 The International Organization for Migration had just conducted an investigation into slavery in post–regime change Libya, leading to a string of news reports in the Guardian (4/10/17) and elsewhere. Practically as soon as this appalling story got the interest of corporate media, however, it quickly died out. Attention shifted back to Russia, North Korea and the bogeymen of the day. This Guardian piece (4/10/17) cites “the overthrow of autocratic leader Muammar Qadhafi,” but does not say that the US (or Britain) was instrumental in overthrowing him. 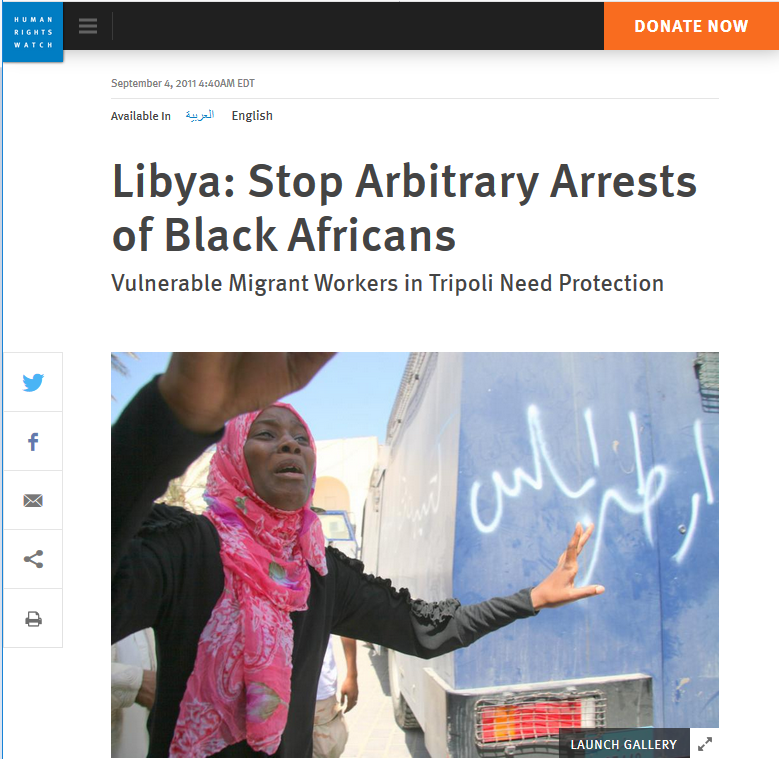 Human Rights Watch (9/4/11) documented racist persecution in post-Qadhafi Libya. It’s an obscenity, not a mark of distinction or impressive achievement – symbolic of unprecedented wealth inequality in a nation obsessed with super-wealth and profit-making for its privileged class. It comes at the expense of a growing underclass, tens of millions impoverished Americans, disadvantaged ones, their numbers increasing, not diminishing, greater numbers coming if the GOP tax cut scam becomes the law of the land. It’ll enrich Bezos and other super-rich Americans more than already, gaining more wealth from the pockets of the nation’s low and middle income households – a diabolical scheme supported by Republicans, maybe enough to make it the law of the land, no matter the harm it causes. Politics in America is money controlled, a system unlike in any other country, amounting to organized bribery. In return for large campaign contributions (bribes by any standard), congressional members pass laws benefitting their benefactors, most often at the expense of the general welfare – the defining feature of dirty politics. Earlier US robber barons were small-time compared to today’s mega-ones – lionized by media scoundrels as heroic figures, profiting at the expense of exploiting workers, paying them poverty wages – or gaining riches by using money to make more of it, contributing nothing to society. Money power in private hands and democracy can’t co-exist. Wall Street crooks transformed America into an unprecedented money-making racket – making it the old-fashioned way by stealing it. Other corporate predators operate the same way, functioning as legalized crime families, oligopolies and monopolies, eliminating competition, not fostering it. Complicit with corrupt politicians, socialism for the rich, free market capitalism law of the jungle for ordinary people reflects the American way – rewarding predation, punishing the poor and disadvantaged, plutocracy, not democracy. The Constitution’s general welfare clause (Article I, section 8) applies to the nation’s privileged class alone, no one else. Jeff Bezos and other multi-billionaires earn more in a day than their workers in a year. Last April, as Amazon shares rose sharply, his net worth increased by $6 billion in 20 minutes. Will he become the world’s first trillionaire in years to come? At age-53, he likely has many years ahead for greater wealth accumulation than already. In contrast, most Americans live from paycheck to paycheck, one missed one away from hunger, homelessness and despair. Tens of millions of people are food insecure, dependent on food stamps and food pantries to feed themselves and their families. Hunger in America is a national disgrace. So is obscene wealth concentrated in few hands. The nation’s three richest billionaires are wealthier than the bottom half of the population. Bezos tops the list – the richest of America’s corporate predators, aiming to become more super-rich than already. Bezos is well-connected. He has CIA ties, recipient of a $600 million agency contract for much more than Amazon Web Services (AWS). As owner of the Washington Post, he serves as its mouthpiece. He has a disturbing history currying favor with national security officials. WaPo is a virtual CIA house organ, a major conflict of interest destroying its credibility. AWS’ Secret Region cloud technology lets the CIA and other US intelligence agencies host, analyze and secure their data across all classification levels – from unclassified to top secret. Bezos is the US intelligence community’s man at Amazon.